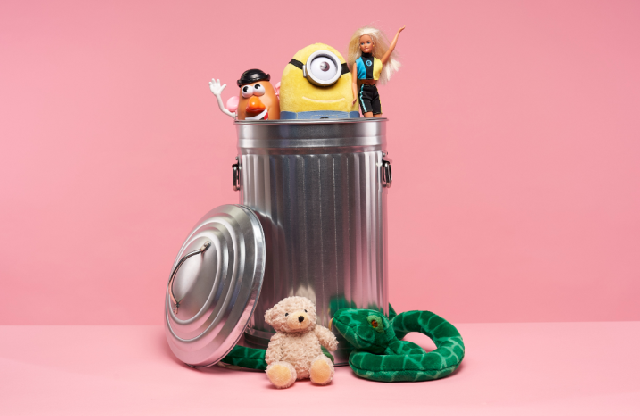 THE old adage:- "waste not, want not" has become a thing of the past, as a new survey shows that thousands of parents are regularly binning toys in perfect condition. From Buzz Lightyear to Mr Potato Head, the British Heart Foundation's survey found that nearly a quarter (24 %) of parents in the North West admit to throwing away toys in perfect condition. It also revealed that toys' days are numbered from the moment they leave the box, with the majority of kids losing interest in just over a month (36 days). 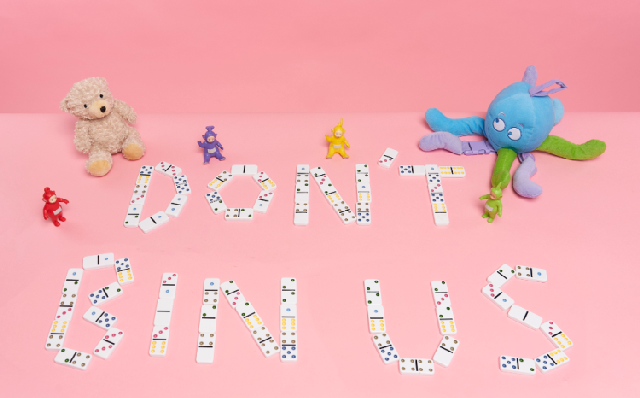 27% of parents in the North West said their children lost interest in a toy in the 1st 11 hours of play. Furthermore, the figures showed children have an average of 4 toys they've never even played with. This means there could be a staggering 162 million toys that have never been played with in the UK. On the upside, 73% of UK adults would buy a second hand toy for their child or children, although 53% have ever donated a toy to charity that their child or children no longer play with. According to the survey, 67% of children's toys in the Region are predominantly made of plastic. In light of these stats, the British Heart Foundation (BHF) is urging the public to take part in its 'Toy Amnesty' over the Easter break. Donating to 1 of the BHF's 550 shops nationwide couldn't be easier. Generous donors can use the #MyToyStory hashtag on social media to tell the BHF a bit about the toy they're donating. Or why not label up your item and tell the new owner a bit about where it came from. With the survey suggesting that 66% of the nation's children's toys are predominantly made of plastic, the charity say the campaign could prevent many toys ending up in landfill and give them a new lease of life. in 2018 the BHF enabled 70,000 tonnes of items to be re-used thanks to donations to its shops. The proceeds of all toy donations will help fund research into beating heart and circulatory disease. Allison, Swaine-Hughes, Retail Director at the British Heart Foundation, said:- "As a parent I know how easy it can be for outgrown toys to be piled everywhere, with some not played with for months. The British Heart Foundation's Toy Amnesty is here to help clear out those toys that are ready for a new home and a new adventure. Call the BHF for a free collection or pop in to 1 of our 550 shops and donate in person; you could even pick up a donated toy at the same time. Every item sold in a BHF shop helps us to raise funds for our life saving heart research and prevents thousands of once loved items ending up in landfill." eBay Toy Expert at the British Heart Foundation, Chris Walker, gives his advice on which toys make the best donations:- "Your old toys, which you may just see as outdated bric-a-brac, could be worth hundreds or even thousands. If they're still unopened or even if you have the original packaging, your donations could raise vital funds for charity. Items such as:- Polly Pocket, Subbuteo, Corgi cars, Transformers, Star Wars and Lego, are all big sellers on our eBay shop. They often have cult followings and are in high demand from collectors. Toys from the 80's and early 1990's are popular too, as a lot of people who were children then are parents today and are keen to share the nostalgia from their childhood with their own kids." Photographs by Paul Francis Coope. BEGINNER runners are being encouraged to pull on their trainers and join free sessions to help get them on the start line for May's Run For The 96. People keen to improve their health are invited to get involved and try the sport through a series of weekly training programmes being held in:- Anfield, Speke and Liverpool City Centre. 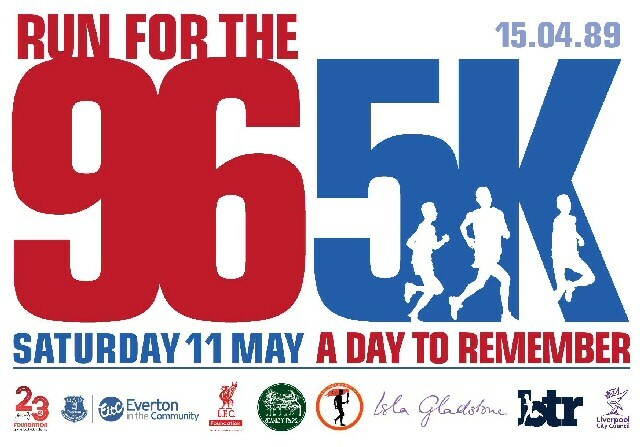 The 5th annual Run For The 96 5K is on Saturday, 11 May 2019 in Stanley Park, between Liverpool's Anfield Stadium and Everton's Goodison Park. This year marks 30 years since the Hillsborough Disaster, on 15 April 1989. 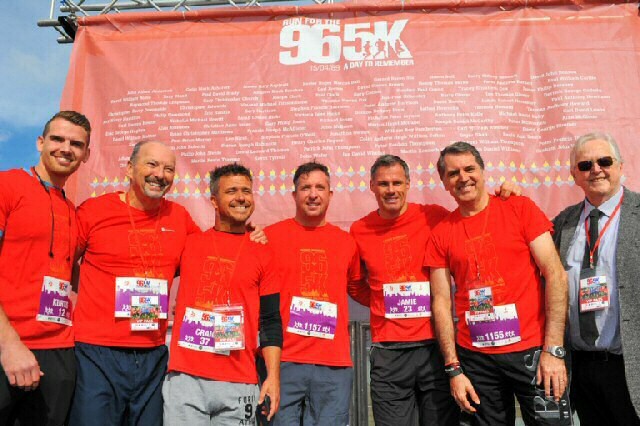 Run For The 96 5K was 1st staged in April 2015 as a community legacy event, as a positive way to celebrate the lives of the 96 Liverpool fans who lost their lives at Hillsborough; while remembering the families of The 96 and the survivors, who have tirelessly fought for justice with the utmost dignity. Key elements of this year's event include a beginners' training programme to encourage new participants and a virtual run option for overseas football fans. Together, the beneficiaries support the vision of creating a positive community legacy event to honour The 96, and are committed to ensure that local communities benefit from the event. The 4 good causes will receive monies donated and funds raised by participants. Beginners runners or those who haven't pulled on their training shoes for a while are encouraged to take their 1st step by joining sessions being supported by the LFC Foundation, Everton in the Community, Stanley Park CIC, and Liverpool City Council's Fit For Me programme. The Stanley Park sessions run on Saturday mornings. Meet at the Isla Gladstone Conservatory, at 11am. Everyone welcome. The sessions will run each week culminating with Run For The 96 5K, on Saturday, 11 May 2019. There are sessions in Liverpool City Centre, each Wednesday, from 5.30pm to 6pm. Meet at the main reception of Liverpool School of Tropical Medicine, Pembroke Place, Liverpool, L3 5QA. The Speke sessions are hosted by the NHS Blood and Transplant Running Group, who meet on Monday and Thursday, from 5pm to 5.45pm. Meet at NHS Blood and Transplant, Tissue and Eye Services, 14 Estuary Banks, Estuary Commerce Park, Speke, Liverpool, L24 8RB. To register your interest or find out more about the training sessions please email:- Amanda.Rivers@NHSBT.NHS.UK. 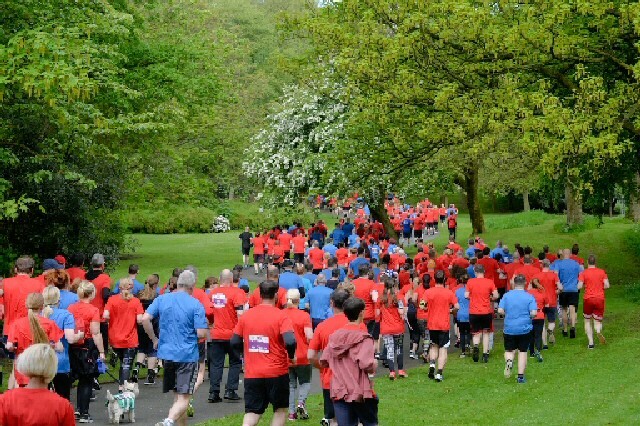 BTR Race Director Alan Rothwell commented:- "Run For The 96 5K was created as a family friendly community legacy event to celebrate the lives of The 96, while remembering their families and the survivors. By encouraging beginners to pull on their trainers and start running is part of the event legacy to support people in their quest to get fit, active and healthy. If you need that extra encouragement to get back out there for a run or you'd like to try running for the very 1st time, try the training sessions which will help get you on the 5K or 1 Mile start line, on 11 May, in Stanley Park." Football fans from across the globe are also getting involved by taking part in the virtual run option, alongside those from across the UK. Virtual runners will be sent a full race pack, including race number, T-shirt and medal. Virtual runners have also registered from:- Denmark, Greece, Ireland, Japan, Norway, Oman, and the United States of America. BTR organise and deliver the event. The entry fee pays to stage and deliver all aspects of the event, including a bespoke commemorative medal and T-shirt for all participants in the 5K event. Participants are encouraged to fundraise or donate to the 4 official beneficiaries:- Jamie Carragher's 23 Foundation, LFC Foundation, Everton in the Community, and Stanley Park CIC. If you want to donate, you can do so via the Virgin Money Giving Page or send them an email to be added to the fundraising team page. 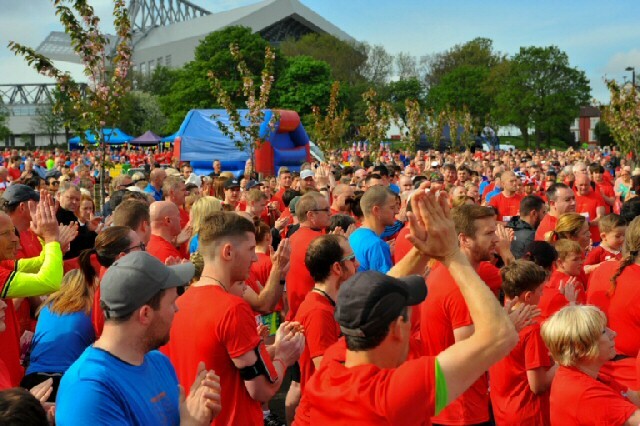 Run For The 96 5K 2019 is on Saturday, 11 May 2019, in Stanley Park, Liverpool. The 5K fun starts at 9.30am, followed by the 1 Mile Fun Run, that will start at approximately 11am. For full details go to the BTR Liverpool website.